Singapore plans to build more recreation centres in the suburbs to draw migrant labourers away from the city after a rare riot in the congested Little India district last year, a report said Monday. The multi-million dollar centres are the latest in a series of government measures to better manage areas where foreign workers congregate after the rampage by South Asian labourers on December 8 injured 39 people and saw 25 vehicles destroyed. The Straits Times newspaper said the four new centres will be built next to dormitories sited in industrial areas away from the city centre and will serve as alternative gathering points for workers on their rest days. They will have a "combined size of more than nine soccer fields" and will house sporting facilities including cricket and soccer fields and basketball courts as well as supermarkets and Internet cafes, the newspaper said, citing planning documents it had seen. There are currently four such centres in outlying industrial zones. Minister of Manpower Tan Chuan-Jin had first announced the new centres in January, in the aftermath of the Little India riot, which sharply brought into focus the way the wealthy city-state manages its nearly one million low-paid foreign workers. Singapore has a total population of 5.4 million, but only 3.84 million are citizens and permanent residents. 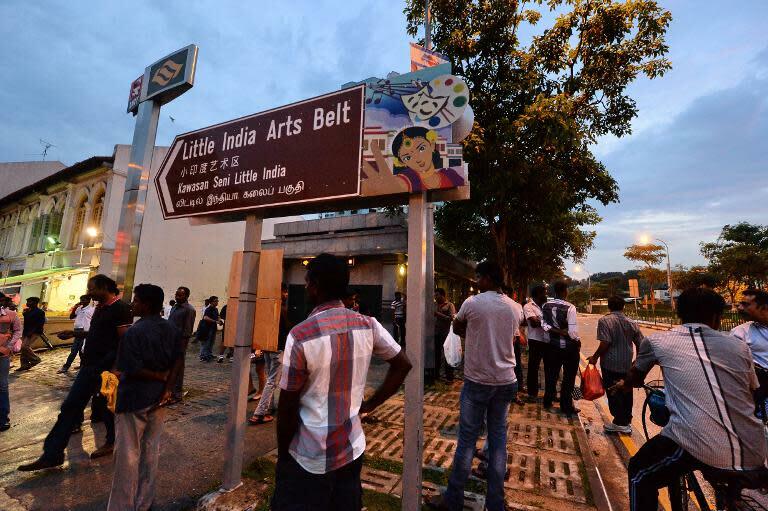 The congested nature of the Little India riot zone was identified early on as a reason why the situation spiralled out of control, along with the likelihood that the rioters were drunk. The government has temporarily restricted alcohol consumption in the area, where South Asian migrant workers usually congregate on weekends to shop, dine and drink. Migrant labour activist Jolovan Wham said while migrant workers would benefit from the new recreation centres, "the intentions behind it are questionable". "Recreational and social facilities should be built for the well-being of the community and not because (the workers) are threats to social order," Wham, the executive director of the Humanitarian Organisation for Migration Economics, told AFP. "This approach to low-wage migrant workers is typical of the government. All low-wage foreign workers are treated as threats to security," he said. Wham and other activists have said that deep frustration among workers over employment and living conditions may have been a contributory factor to the December riot, charges the government has strongly denied. More than 50 workers were deported while 25 Indian nationals are either serving jail sentences or awaiting trial for rioting charges.